Andrews, Peter A. (1999). Felt tents and pavilions: the nomadic tradition and its interaction with princely tentage, Volume 1. Melisende. ISBN 1-901764-03-6. Janhunen, Juha, ed. (2003). The Mongolic languages. Routledge Language Family Series. London: Routledge. ISBN 0-7007-1133-3. Janhunen, Juha (2006). 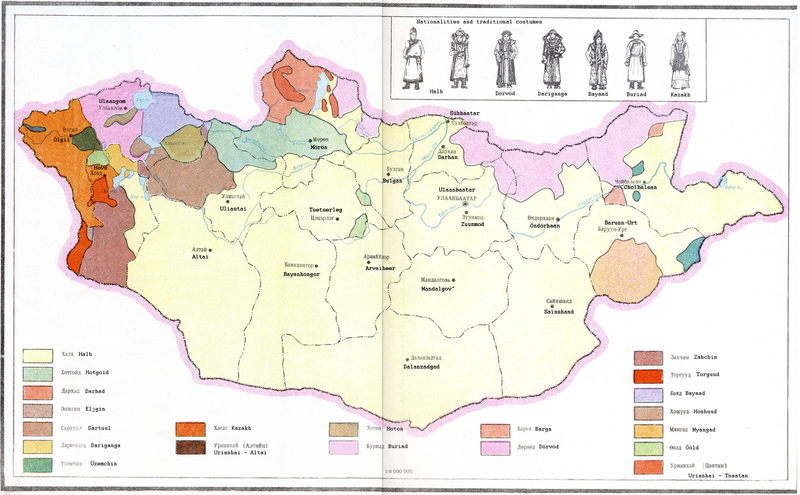 "Mongolic languages". In Brown, K. The encyclopedia of language & linguistics. Amsterdam: Elsevier. pp. 231–234. หน้านี้แก้ไขล่าสุดเมื่อวันที่ 18 สิงหาคม 2559 เวลา 21:35 น.